They are crazy colors; want more colors everywhere. That's what our choices of different some how multi colors to see every time everywhere, where some do not like complex colors for each time. It's up to you; Your home should be your desire not wish to others. 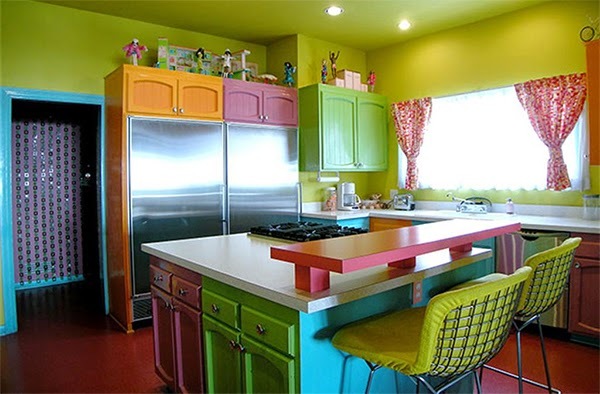 Get these tips for your colorful kitchen. Suppose you say, have a kitchen with two complete walls; a wall with a wide half-wall windows and a side door to your backyard; and the other wall of the entrance door to your kitchen. 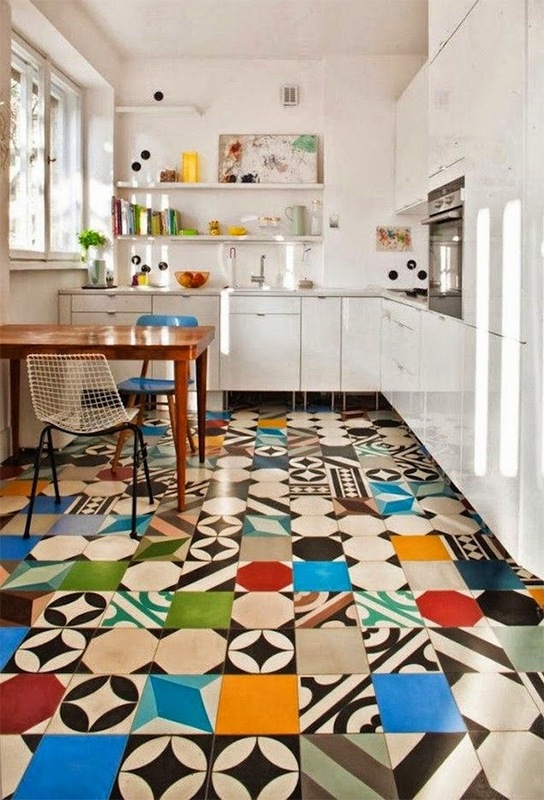 Normally, multi colors suitable for a large kitchen. Let’s paint the whole kitchen in grass green including the ceiling. Fix Pantry Cupboards to a one complete wall into two parts as top and bottom cupboards. The top set of cupboards you can paint in yellow, and bottom set of cupboards in orange. white granite would be use as the cupboard top of the lower set of cupboards. Now you have completed a one entire complete side of the kitchen wall. To the other complete wall you can get the lower set of cupboards including the cooker and the cooker hood. All the other electronic appliances also you can allocate at the same side of the kitchen. For this wall lower set of pantry cupboards also you would get white granite top. Sink, washing are and the dish washer too you would get to the same side of the kitchen. Half wall with a broad glass sliding window could give natural scenery of your garden. Focus a ice multicolored flower bed through this window. Floor could be painted in wooden color or maroon color. Doors and Window could be glass but the frames could be multicolored aluminum Window frame could be blue, while the door frame could be pink or red. There would be a Dining Table with a glass top, and Chairs can be in different soft colors. Don’t think twice go and get the colors you want in your kitchen.